Home > Special Offers > Sales > Get the 2018 Beetle! 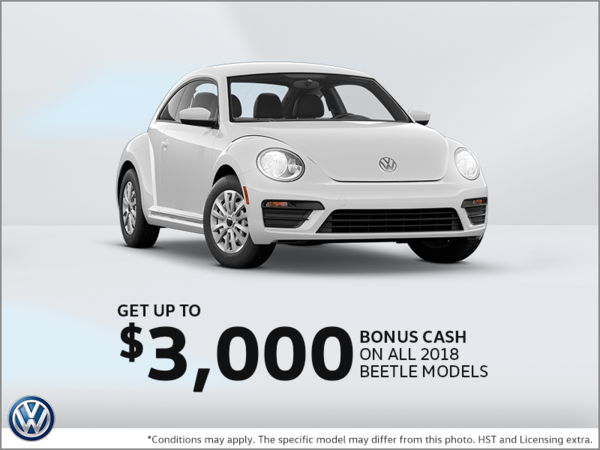 Get $3,000 bonus cash upon the cash purchase of any in-stock and unregistered 2018 Volkswagen Beetle model! Certain conditions apply, this offer ends on February 28th, 2019. 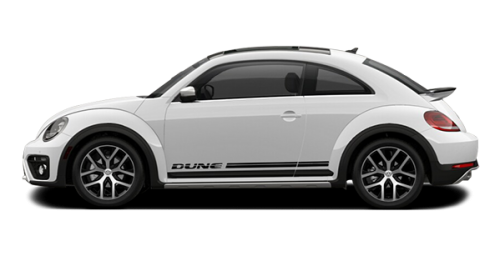 ‡$3,000 bonus cash available to be applied as a discount off MSRP on cash purchase only of in-stock new and unregistered 2018 Beetle models. Dealer may sell or lease for less. Dealer order/trade may be necessary. Offers end February 28, 2019 and are subject to change or cancellation without notice. Visitvwoffers.ca or your Volkswagen dealer for details. “Volkswagen”, “Beetle” and the Volkswagen logo are registered trademarks of Volkswagen AG. © 2019 Volkswagen Canada.